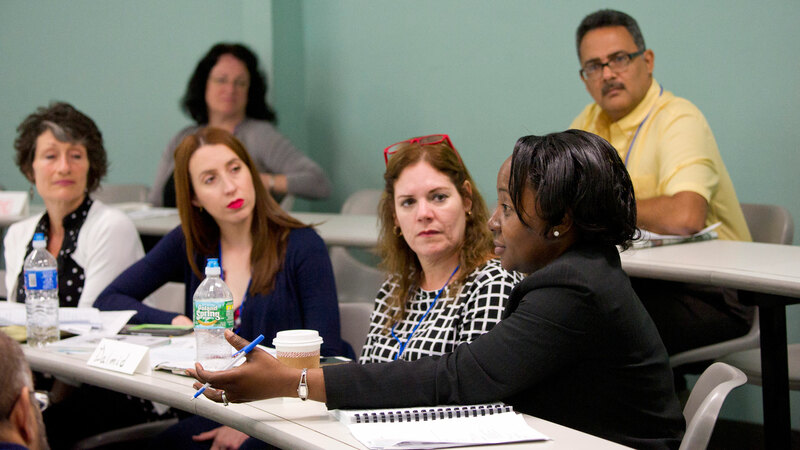 The Summer Scholar-in-Residence program allows Network faculty to come to New York University during the month of June to engage in research, develop curricula, and/or produce manuscripts for publication. The program allows Scholars to explore new dimensions in their disciplines, to engage in intellectual exchange and investigate resources not available to them at their home institutions, to broaden their own pedagogical expertise, to enrich existing courses or create new ones, and to expand professional contacts. Participation in the SIR program not only enhances the faculty members’ knowledge and skills, but also significantly contributes to the intellectual environment of their home institutions as they share what they learn with their colleagues and students. The Summer 2019 Scholar-in-Residence program will be held from June 3 to June 28, 2019 at New York University’s Washington Square campus. Applicants are required to submit an abstract and a clear and concise proposal of five pages or less detailing the intended scholarly activity or curricular development plan to their institution’s Faculty Resource Network representative. Participation in the Network Summer Scholar-in-Residence program is open to full-time faculty at full member institutions of the Faculty Resource Network. SIRs will receive a letter informing them of their application status. If accepted into the program, Scholars will receive information regarding housing accommodations, as well as some general information about the program and its schedule. Accommodations are provided only for Network Summer SIRs who live beyond 50 miles from NYU’s Washington Square Campus. (University regulations do not permit spouses or family members to share housing accommodations provided. We regret that no exceptions can be made to this rule.) Scholars-in-Residence will reside in private, air-conditioned efficiencies in an NYU residence hall. In addition, all residents have access to coin-operated laundry facilities, computer terminals, and a gym within the building. Although the University provides basic linens and towels, we encourage Scholars-in-Residence to bring their own linens (for extra-long twin bed) and towels for an extra level of comfort. A lightweight summer blanket may be needed in addition to your own toiletries and hangers. Scholars are provided with a telephone (with local service only). Scholars-in-Residence who will be staying in campus housing will be provided with meal vouchers for selected dining halls for Monday through Friday of the program. Vouchers will be provided for breakfast and for the participant’s choice of lunch or dinner. Throughout their residency at the University, Scholars confer periodically with New York University faculty who serve as Research Consultants and who are both aware of the Scholars’ project and knowledgeable in their field. Each Research Consultant is able to offer collegial discussion, professional and constructive criticism, and information on New York City and NYU resources. The Network identifies each Research Consultant and provides the contact information of the Consultant during the orientation meeting. The ties that develop between Research Consultants and Network Scholars often become the basis of ongoing professional relationships that last well beyond the period of direct participation in the Scholar-in-Residence program. If you are interested in applying to the Summer Scholar-in-Residence program, please submit your complete application as a PDF attachment to frn@nyu.edu or fax ONE complete copy to the Faculty Resource Network office at 212-995-4101. We require a clear and concise detailed project statement of five pages or less indicating your intellectual and/or academic interests and the research or curricular development project you hope to produce as a result of participating in a Network faculty development program. Indicate specific courses or programs which will be benefited at your school as a result of your participation in Network Summer. Applicants for the Scholar-in-Residence program should also submit a brief abstract of their project statement as well as indicate the department(s) with which they wish to be associated and the name(s) of NYU faculty member(s) with whom they wish to consult (if known). One letter of support must be included with your application. The letter of support must be from either the Institutional Liaison Officer (click here for list) or from the Dean or Chair of the applicant’s department. The letter of support must indicate the value of the applicant’s participation in Network Summer to the applicant’s school or department.